No, it’s not in Power Query in Excel yet. I assume it will come soon though. Hmm the next question is, can i load power bi results in excel – maybe with excel power query? No you can’t, at least not yet. 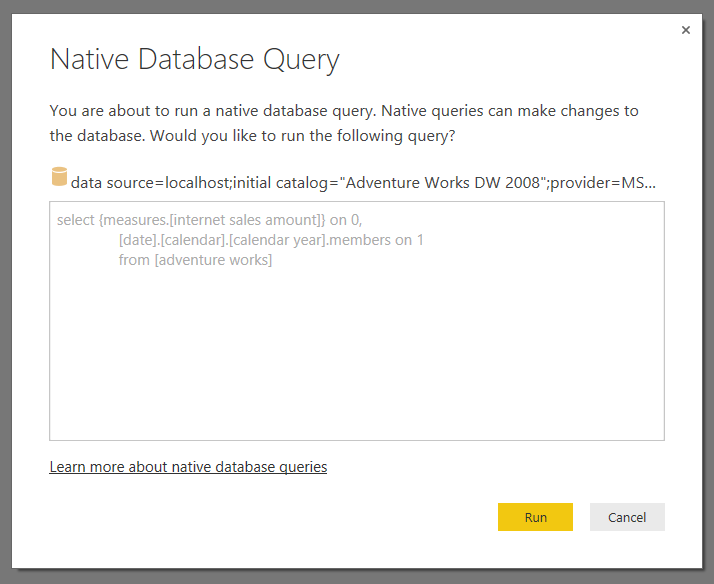 Thanks for the help in turning off the Native Query warning. 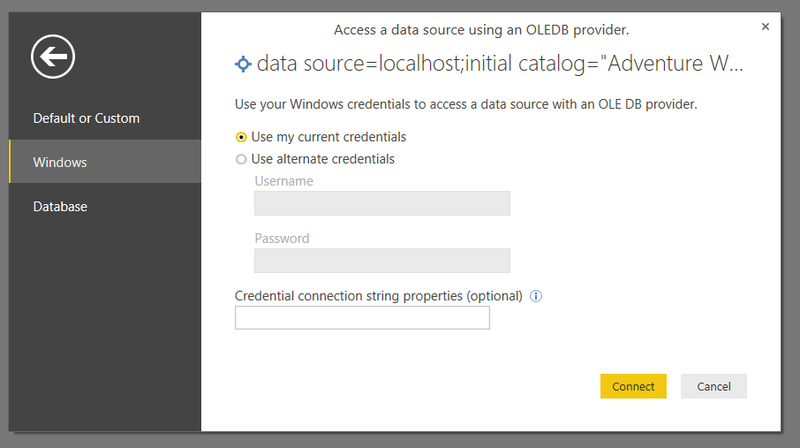 Chris, is it possible to create a DAX calculation within PowerBI against a data source connection to an MDX/SSAS Cube? Seems writing DAX in PBI only works against a Direct Query or other kinds of data sources but not against an MDX cube. 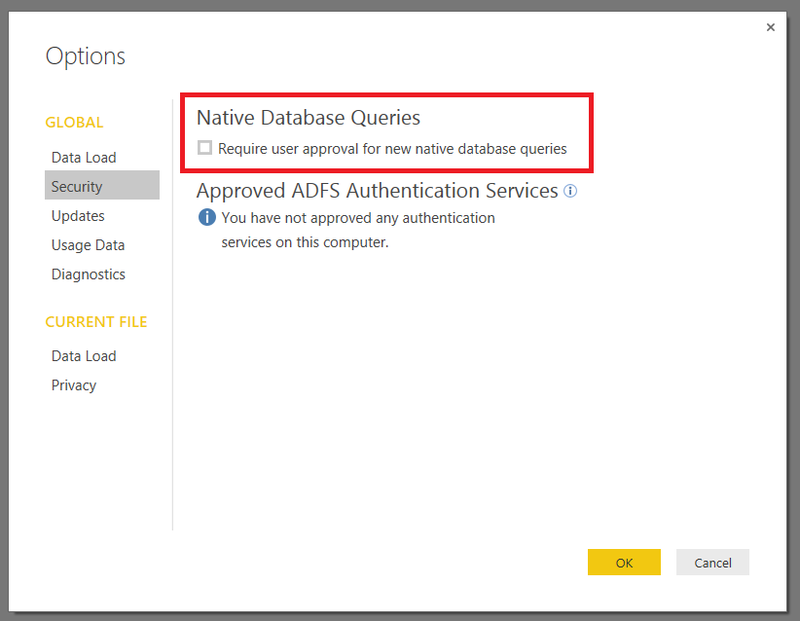 You should be able to run DAX and MDX queries against an SSAS Multidimensional cube if you have SSAS 2012 SP1 CU3 or higher.